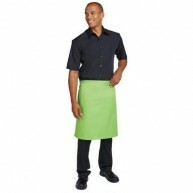 Our range of specialist workwear caters to a wide assortment of industries, from catering to construction. It has been designed to ensure you adhere to any applicable workplace regulations and keep your employees safe while also maintaining a professional image and branding effectively.From Hi-Vis clothing to overalls, there is something for all requirements. Our brandable workwear range ensures the utmost safety for your employees, while showcasing your brand with our personalisation options. 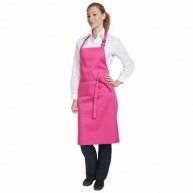 Whether working in the catering industry, on the building site, or in the garage, we offer many workwear options including hi-vis jackets, overalls, and aprons. Our promotional workwear is affordable, and available in several colours and styles, allowing you to kit out your team in bespoke clothing. Click through onto the product of your choice for more information on quantities, prices-per-unit, colour options and lead times. We’ll do our very best to meet your enquiry.